You will require a computer with powerpoint – (which is available as a free download for students) and a microphone. 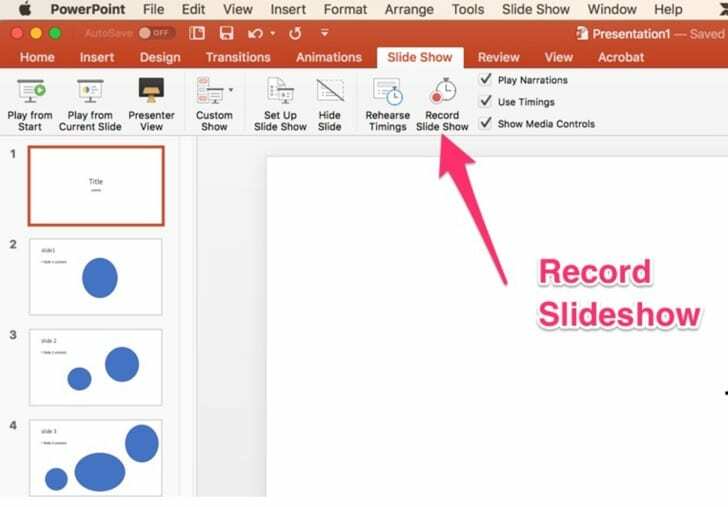 Create your presentation as normal, then select>Slideshow>Record Slideshow. Advance through slides and record your narration. If you have only one slide, to stop the recording press the PAUSE button. At the end of the presentation when asked select “Yes” to save your new slide timings. The resulting pptx file is relatively small, and can be submitted to a studentcentral submission point. Nicola Ashmore’s students on HD25 will be submitting an assignment using this method in Jan 2019. Helen Kennedy uses this as a way of amplifying downloadable presentations.